Pensive, annoyed, deeply satisfied, offended, inquisitive, needy, snooty, clumsy. Whether you love cats or not, you are bound to recognise the cat moods listed above. To many people, cats’ typically wilful behaviour is irresistible. Mies van Hout is not just a huge cat lover, she also has a very good eye and is able to represent animals’ emotions convincingly on paper. Inspired by her own cat, she put together twenty extremely recognisable cat emotions and captured their essence in a colourful collection. 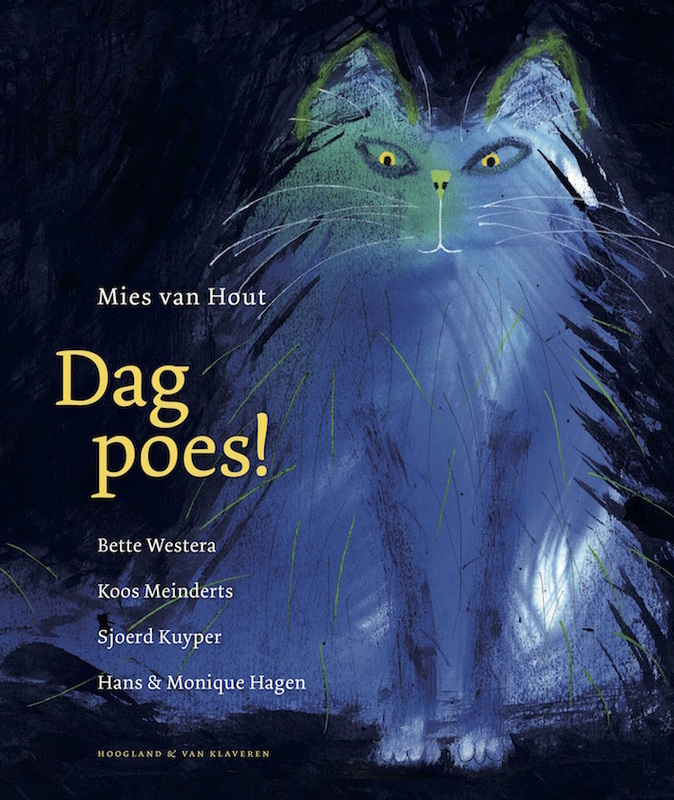 Five highly-acclaimed Dutch children’s authors have taken up the challenge to write beautiful cat poetry to accompany the pictures. Hi Puss! is an ode to the cat in all its guises!